Chris Reddish was born in “The Motherland” Lincoln Nebraska. Growing up as a 80’s kid I was fortunate to earn my Black belt in Taekwondo. Martial Arts was a big part of my life growing up and I love it even more now because I get the opportunity to work several different forms of Martial Arts. I moved to Kansas City in 2000. In my free time I enjoy spending time with friends and family, going to movies with my wife, and watching my son compete in basketball and baseball. What do you do at Kicksite? 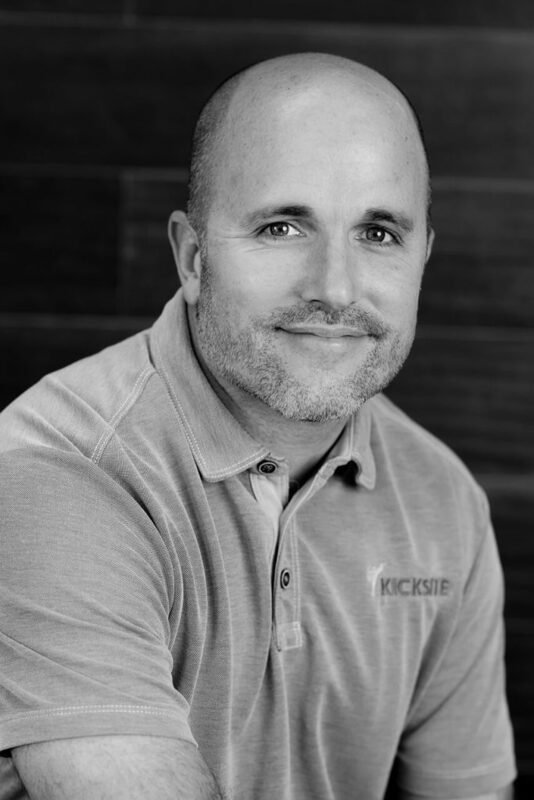 Chris is a Sales and Support Agent at Kicksite. He works with customers to show them the benefits of Kicksite. My Dad inspires me! He was a guy who put his family first and earned everything we had. Who is your favorite meal? Shrimp Jambalaya and fried alligator on Bourbon Street. What’s your favorite moment working with a martial arts owner? That would be when I did a face to face demo for a school owner at The Supershow this year. She was so excited to see how easy it was to use Kicksite and how it would be a perfect fit for her school.